Brian is one of the Principals of Integrated Capital Management and holds the position of Chief Financial Officer. He also chairs the Financial Planning Committee. He has extensive personal and professional experience in the realm of financial planning for business owners, physicians, attorneys, corporate executives, and high net worth individuals. Brian’s focus is to help individuals become goal-oriented in their thinking and to create financial plans that utilize strategies and portfolio investments to work towards achieving those goals. Brian received his B.S. in Mechanical Engineering from Michigan State University and his M.S. in Mechanical Engineering from the University of Michigan. He is also an MBA graduate in Finance from the University of California, Los Angeles and has attained the CERTIFIED FINANCIAL PLANNER™ professional certification. Brian has been recognized by Hour Detroit Magazine as one of the top-scoring wealth managers in the Detroit area. 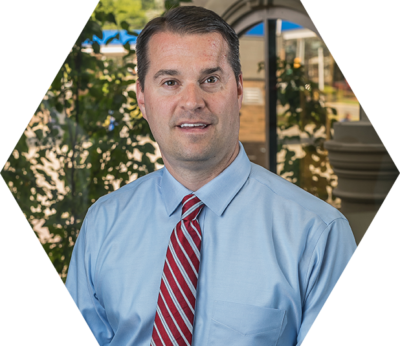 Brian has many years of experience in finance, leadership, and wealth management. Previously, Brian held several financial leadership positions in various departments within Ford Motor Company, where he developed the skills for budgeting, forecasting, and financial planning. While working at Ford, Brian was awarded for his performance and expertise with an overseas assignment in Japan and a Corporate Fellowship. Outside of work, Brian is a board member of the Michigan State University Detroit Executive Forum and a Founder and President of the UCLA Club of Michigan. He resides in Troy, Michigan with his wife Kara and their two children. Something You May Not Know About Brian: Brian is a mixed gas certified scuba diver to 200 ft.